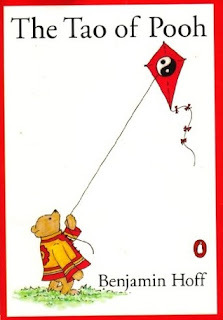 The Tao of Pooh by Benjamin Hoff was published shortly after I graduated from high school and turned eighteen. This is a book about Taosim and its basic concepts told in the context of Winnie the Pooh and his forest friends. As a youngster, I loved Winnie the Pooh, and as a young adult, I had a lot of interest in Eastern religions. So of course I found this book delightful. The author uses the archetypes of Pooh's world to help western readers how to calm you mind, live in peace, and just be. I still haven't learned this lesson, of course. My mind is seldom still, I seldom feel peaceful. I don't resemble Pooh very much in this regard. But I can continue to try.